The island of Vis is situated in a prime and enviable spot in the shimmering turquoise waters of the Adriatic Sea. It is the island that is furthest away from the Croatian mainland coastline. Vis is also nestled behind the islands of Hvar, Brač and Solta making it accessible to visitors seeking out a piece of paradise. During WWII, Vis was used as the HQ of the Yugoslav military and naval forces. This ensured that the island was strictly out of limits to the public until 1989. As tourism began to develop in Croatia, Vis managed to retain its unique air of tranquility and mystery. Vis boasts an unspoiled nature and quaint, old Mediterranean charm. It has history, heritage, culture, and many beautiful beaches and secluded coves. 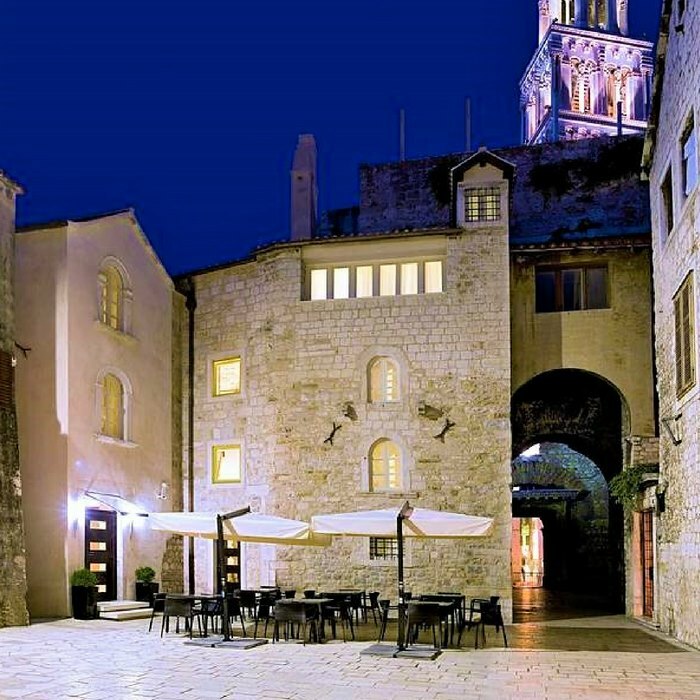 Much of the architecture found in Vis Town dates back to the days of Venetian rule. The narrow streets are lined with ramshackle houses built from the distinctive white limestone that is quarried on Brač Island. Providing contrast is the charming fishing town of Komiža. Its horseshoe-shaped cove of Stiniva beach is considered to be one of the best beaches in Europe. The natural phenomenon of the famous Blue Cave is also easily accessible from Vis. Take a boat ride to the neighbouring island of Biševo to enjoy the daily spectacular lightshow display that is hidden inside the cave. Part of Vis Island’s appeal is the fact that it attracts fewer tourists than many of the islands that are located closer to the mainland. Visitors have to make a little more effort to enjoy the island’s stunning scenery and peaceful atmosphere. Having recently featured as a location double for a Greek island, in the hit movie Mamma Mia 2, is likely to entice larger numbers of visitors to Croatia to discover Vis’s beauty for themselves. 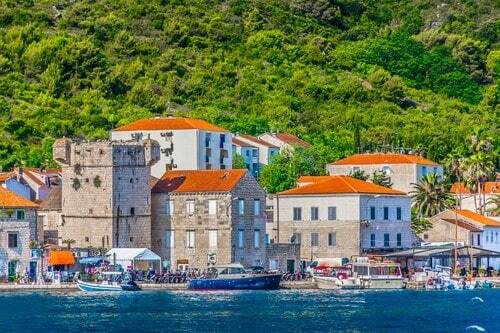 Vis Old Town proudly displays rich medieval and 19th century history in its large and protected bay. Take a wander through the cobbled streets to admire the charming architecture of the traditionally built houses that are lined up. Explore the remains of ancient Issa, take a tour of the five Roman Catholic churches, and visit the war forts and the British Military cemetery. At the Levaman Fortess you will discover exhibits dating back to the 4th century BC, in the Archaeological Museum. 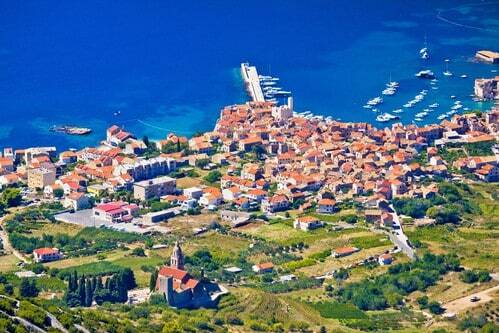 Situated under the imposing shadow of the 600m high mountain of Hum lies the beautiful coastal town of Komiza. The fishing town boasts a port and a bay that are surrounded by quaint 17th and 18th century stone houses. To enjoy a tranquil moment in stunning surroundings, head for the north of the town centre to explore the picturesque beaches. You can also hop on a boat for a trip to the unique Blue Cave (Blue Grotto), located on the nearby island of Bisevo. The family-run Restaurant Pojoda is nestled in a beautiful lemon and orange tree lined garden, in Kut. The seafood restaurant has an authentic cavern-like interior, with exposed brick walls and a beamed ceiling, and plenty of tables positioned outdoors on the picturesque terrace. On the menu are Catch of the Day specialties and whole, grilled fish platters,with tasty side orders that are ideal for sharing. 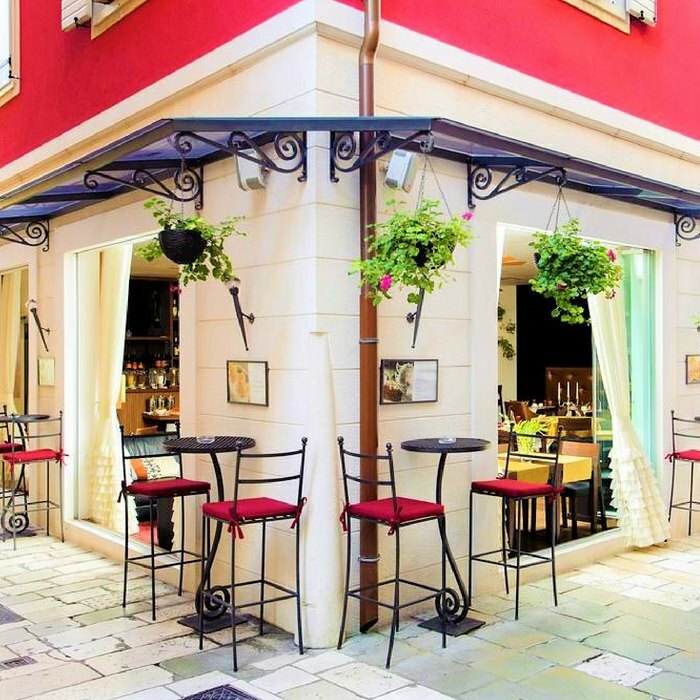 The restaurant is regularly listed in the Top 40 list of eateries in Dalmatia. 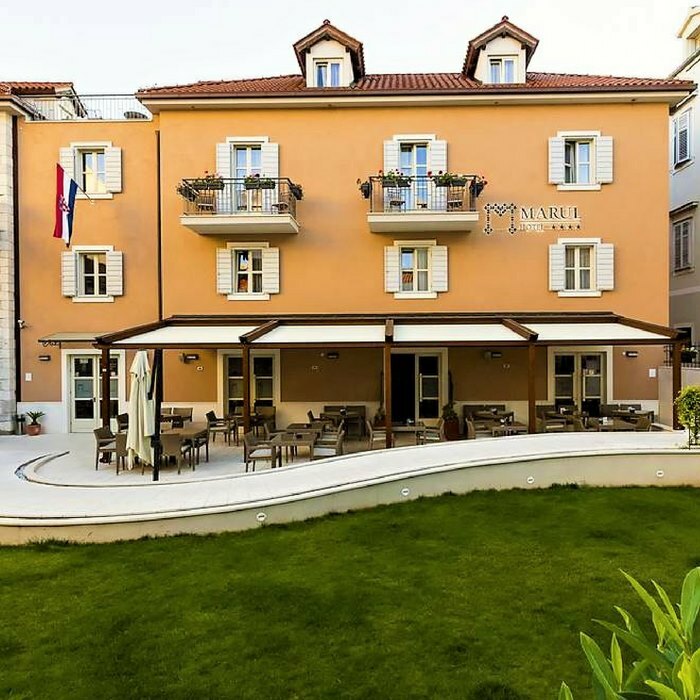 Book your holiday to Croatia at the 4 star family run Hotel San Giorgio situated in the historical and cultural centre on the island of Vis. Surrounded by scented lemon and orange trees and fragrant plants, this charming hotel is the perfect place to stay for a relaxing holiday. 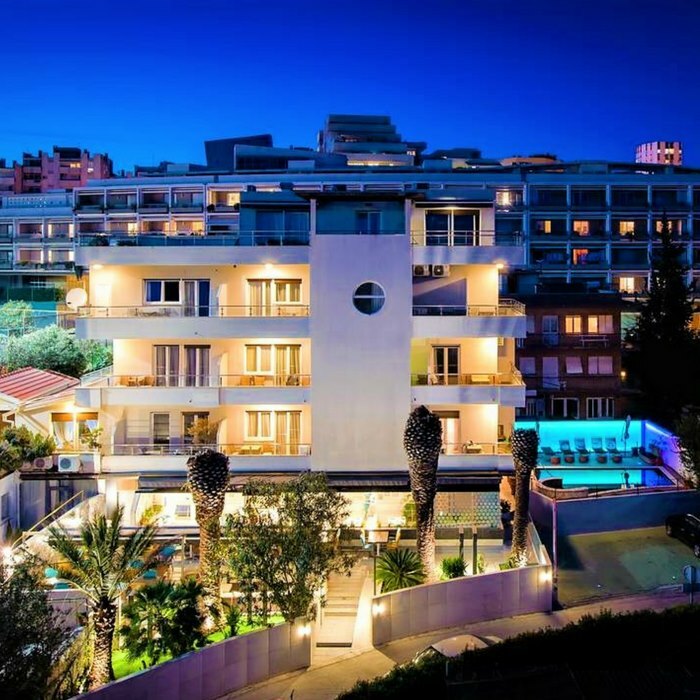 Book this luxury holiday in Croatia at Hotel Luxe, a stylishly modern boutique hotel with a view. 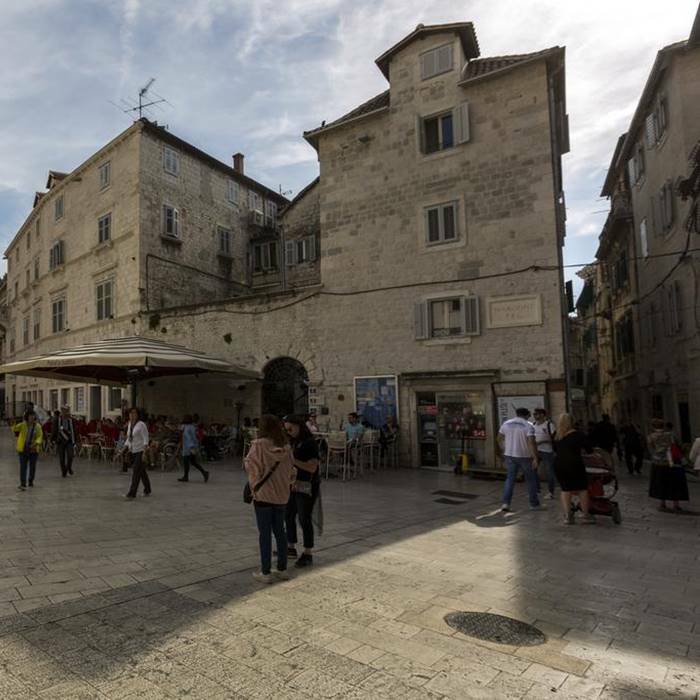 The property is conveniently situated within easy walking distance of the famous Diocletian’s Palace and the popular Riva promenade. 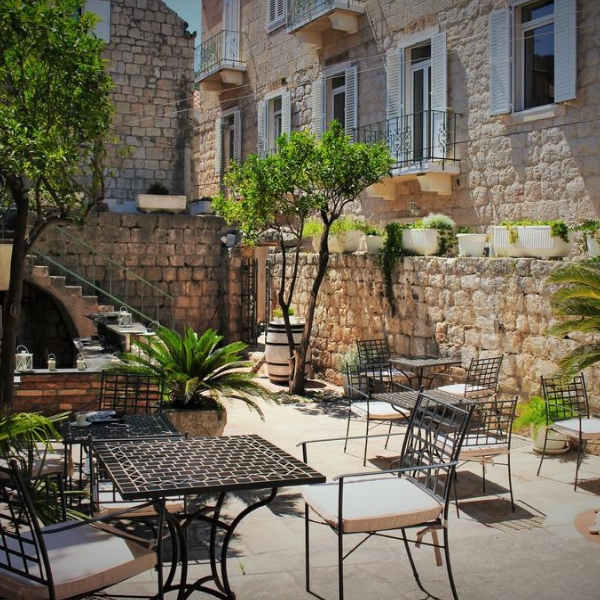 Book your luxury holiday in Croatia at the superb Hotel Vestibul Palace situated in the heart of the famous Diocletians Palace, which was once solely reserved for the Gods. 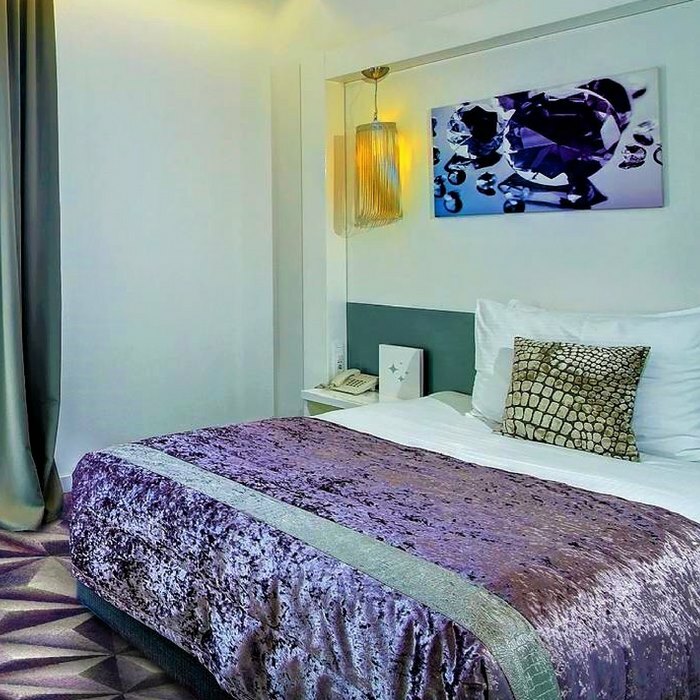 The charming 4 star hotel boasts historical and antique surroundings and offers a modern standard or service and luxurious accommodation. 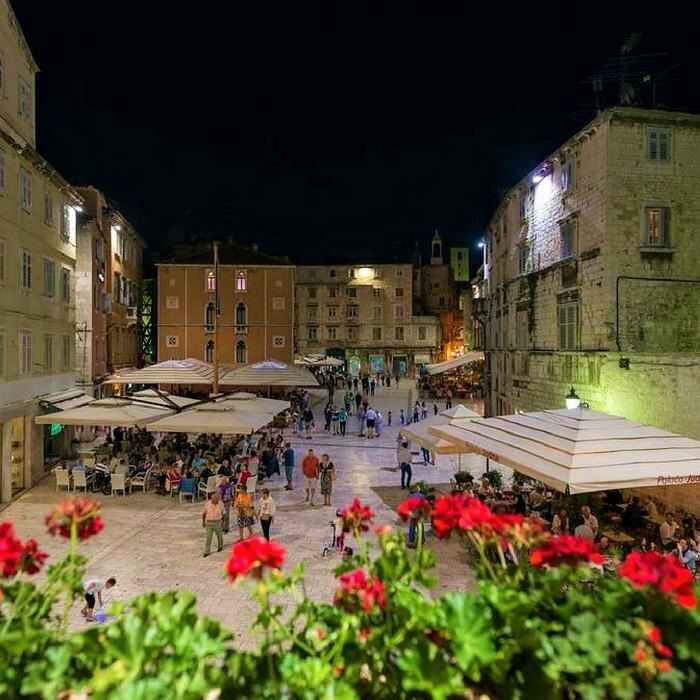 Book your holiday in Croatia at the Cornaro Hotel in Split. 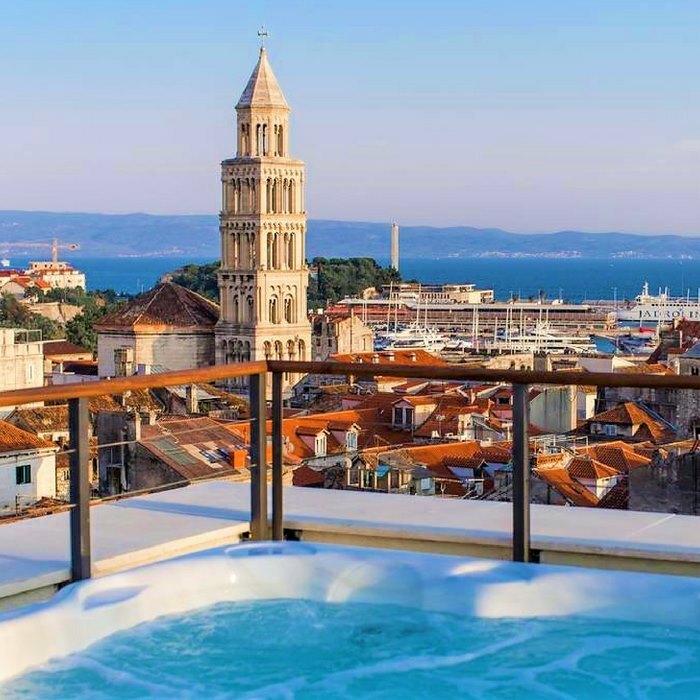 Located in Split’s Old Town, it provides its guests with modern and fully equipped rooms with stunning city views. Hotel’s restaurant serves rich buffet breakfast. 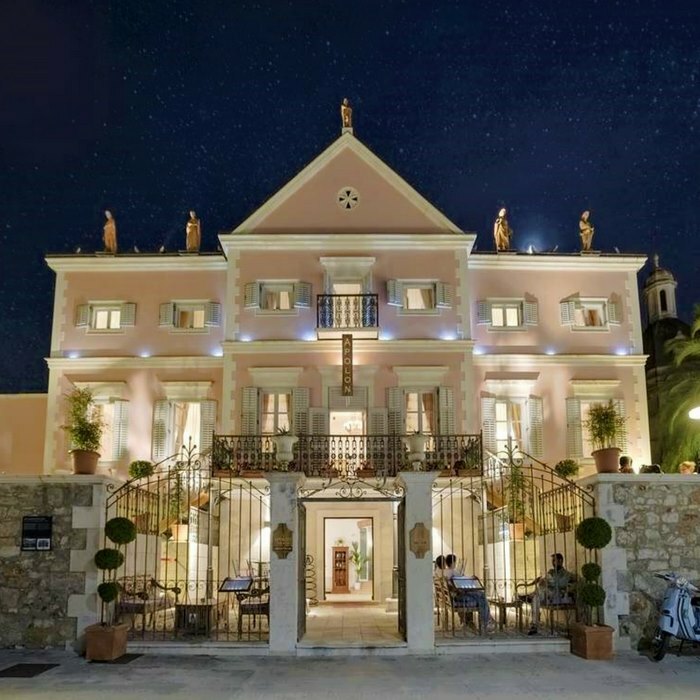 Book your luxury holiday in Croatia at Hotel Damianii a stylish boutique hotel offering exceptional service in luxurious and scenic surroundings. 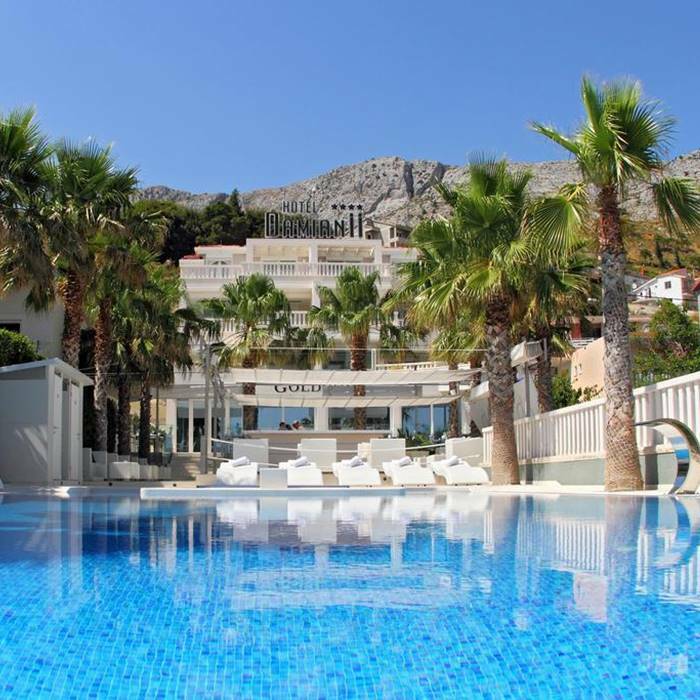 The art deco inspired property is situated in the charming town of Omis.